Sadly, this was my car a few weeks ago. I’ll tell you how it happened. I was on my way to my office admiring a gorgeous summer day. I was humming along thinking about how nice and early I would be for a meeting. I thought I’d have time for coffee, follow up on a few phone calls and get a chance to review my notes before I met with a group. I even anticipated getting some worksheets together for a couple I was seeing later in the day. And…. Did someone just hit my car???? Thankfully, the other driver stopped right away. We assured each other that no one was hurt before pulling into a Movie parking lot to exchange info and call the police to file a report. The short story is that the other driver took all the responsibility. His insurance took care of the repairs. As shown below, my car looks great now. But having recently been on the receiving end of a car accident, I thought about my clients who tell me what it feels like to suddenly find out about their partner’s extramarital relationship. They often describe it as “coming out of the blue”, like suddenly getting hit by a car, train or truck. This is often the image that comes to mind when an affair is unexpectedly discovered. Whenever there is a trauma, and be assured finding out that our spouse has had an affair is trauma, we try to get our heads around it any way we can. An analogy, image, or word picture is often used by one of the partners to help the other understand more about their experience. Like any analogy, it helps explain some thoughts or feelings, but it falls short at some point. Healing takes place when the offending party is honest. In my case, I immediately calmed down after the the other driver said, “I am so sorry. I just didn’t see you.” Though I suppose he violated the ‘cardinal rule’ of not admitting to wrongdoing, his manner promptly diffused the situation until we could get a police report and contact insurance companies. Likewise, a partner has questions, lots of questions, that need honest answers. Often the betrayal or secrecy is more offensive and painful than the fact than an affair has occurred. Lying, frequently used to protect the hurt spouse, only compounds difficulties in the future. The offending party feels helpless, too, and being honest is actually something he or she can do to help heal their partner and themselves. Usually both parties in an affair are dazed and confused, even the unfaithful partner. Though not terribly helpful at the time, I recall one client who said in session, “It’s like I was driving along and hit a tree.” A nanosecond later, his wife responded, “And you intentionally hit the tree.” I had to immediately jump in the conversation so we could sit with that image for a bit and see where that picture fit, or did not fit, their circumstances. Affairs are usually unintentional. Few people enter marriage and think, “I’ll have affair someday” anymore than we count on having a car accident. I’ve read where as high as 80% of affairs occur with someone at work. Typically the pair becomes friends and they confide in each other and don’t have healthy boundaries. They fail to mention that friendship to their spouse because they don’t think it worth mentioning at first. Before long,they think mentioning closeness to this person becomes none of their spouses’ business. That should be a red flag, but there are a wide variety of affairs. Some happen as suddenly as a car crash while others are cultivated over a long period of time. Before youknow it a lot of people are in the wreckage. Spouses are important when you’ve taken a hit. Right after calling my insurance company and the police, I called my husband. The other driver called his wife, as well, and she actually drove to the site. (My husband would have been there, too, but I insisted he continue on with his meeting.) It was just good to hear his voice over the phone and be reassured that I was handling the situation well. One of the problems with affairs is that the offending party is also the person we look to for healing in the crisis. You’re caught with wanting desperately to trust the person who betrayed you. Such ambivalence makes you feel a bit crazy. Acceptance is a valuable life skill. Like the stages of grief when you have lost a loved one denial is a tried and true friend. Denial helps protect our psyche when the unimaginable has happened. But it can’t stay around forever. Eventually reality sinks in. In time, you can accept the unacceptable, a step far different than liking this new reality. Repairs always take longer than you think they should. A couple of times I thought the car would be ready on a certain day and was told repairs would take a few days longer. All in all, it took almost a month to be fixed properly. My patience waned even though we had a rental. Likewise, recovering from an affair is never completed in one month. You never get a “rental husband” to lean on while yours is being repaired. Healing is often more costly than anticipated. 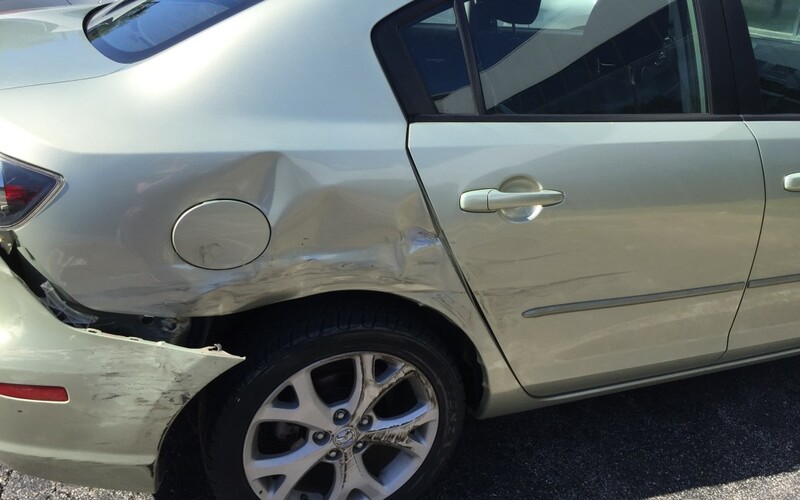 The estimate on my car was $5281.42, so I am very thankful the other driver had insurance that would cover this. Unfortunately there are no policies that cover marriage counseling. Generally, divorce is more costly than counseling, but there still is a financial cost as well as an investment in time and emotionally energy when you are seeing a marriage counselor. As a couple begins to heal we can slow the process down and they no longer need to come to counseling as often. I believe it is always worthwhile exploring marriage counseling and gaining the peace of mind that you’ve done everything you can to save the relationship. Even if divorce is in your future, you both need healing in order not to drag pain from one relationship into another. The accident serves as a “wake up call”. It will be a long time until I am blissfully driving along unaware that accidents happen. Every time I drive down Des Peres Road and pass the spot where the driver pulled out from the shoulder my heart sinks a little. This is not a bad thing. It has made me a more careful driver, a lesson learned the hard way, but a lesson still. Couples where one has had an affair know it can happen, so the couples who heal are more careful, set better boundaries, and are more intentional about their connection. Repairs can be pretty sweet. I feel like I’m driving a new car. Today, it looks better than it did before the accident. I will always know what happened, but I can really enjoy my car again. 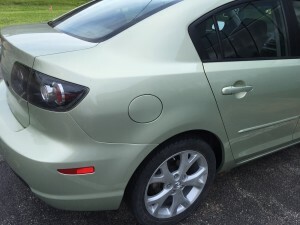 I am amazed at the skill of the professionals who did such a great job with my car. It even smells new. Likewise, relationships can heal when the couple is committed to the process. They will always know what happened, but they can grow to love and enjoy each other again.